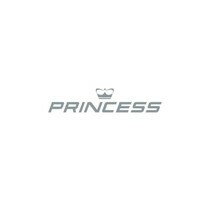 Princess is one of the most respected boat builders in the world. They’ve been in the industry for over 50 years, creating amazing vessels that any serious boat lover admires. 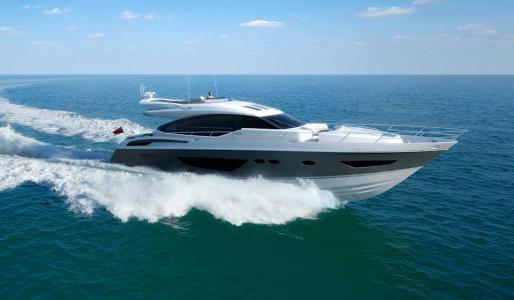 Today we’re going to explore the Princess S72, a boat with incredible space and unrivaled performance. Starting with the deck, we can find a teak laid transom platform, cockpit deck, sports bridge, side decks and stairs to side decks, with a reversible anchor winch with foredeck and helm position controls. Also, a self- stowing 40kg/88lbs Delta anchor with 90m of chain and a freshwater deck/anchor wash. This space is perfect for a relaxed time at its foredeck seating and sunbathing area, it also features twin electric-powered sternline mooring winches, stainless steel cleats, fairleads and handrails, remote control searchlight, storage lockers for rope, fenders and foredeck sunbed cushions and a LED deck level lighting. The Cockpit is a luxurious and comfortable area, with U-shaped seating and a teak folding table, a sunbed with storage below and a wet bar including sink, electric barbecue, and cooler box, this place is perfect for relaxing times with your crew or family. It features twin transom gates leading to the bathing platform with electro-hydraulic raise/lower mechanism, a foldaway swimming ladder and a hot and cold shower. In terms of entertainment, it has speakers linked to the deck saloon sound system. The Helm Station includes a Helm position with raise/lower console, repeat navigation equipment including radar/chart plotter and engine instrumentation as well as full engine instrumentation including fuel gauges, exhaust temperature, fuel contamination alarms and rudder position indicator and a navigation system which includes color radar, GPS and chart plotter (twin display), VHF/RT, speed and distance log, echo sounder with alarm, autopilot and high speed magnetic compass. This area also includes controls for the bow thruster, windscreen wipers, bilge pump, anchor winch and trim tabs a chart table and a toughened glass screen (clear for night vision). Next to the Helm Station we find a U-shaped seating area with a folding teak table and L-shaped seating that converts to sun pad, a wet bar with sink, electric barbecue and cooler box and a stereo radio/MP3 with waterproof speakers. The Main Saloon features a U-shaped sofa and coffee table to increase the crew’s comfort. There is an entertainment center which incorporates a 46” LED TV on electric raise/lower mechanism and DVD, radio/MP3 systems with surround sound. One amazing feature of this boat is its electric opening roof, so you can enjoy the view from the comfort of the main salon. Lastly, it also features a dining area with a sideboard unit for glass and bottle storage, refrigerator and icemaker. The Galley includes a four zone ceramic hob, a microwave and conventional oven with electric grill, two twin stainless-steel sinks with a monobloc mixer tap,a full height fridge/freezer,a dishwasher, and storage cupboards with drawers and lockers. In terms of accommodation, all cabins and bathrooms feature opening portholes and air conditioning outlets. Both bathrooms feature full shower stalls, electric quiet flush toilets, extractor fans and 240v shaver points. The Owner’s Stateroom has a large double bed with drawers below, a dressing area with wardrobes with hanging and drawer storage, a dressing table with chair and a comfortable sofa. There is also a 40” LED TV, DVD with MP3, overhead and individual berth lights, and an en-suite bathroom. The Forward Guest Cabin features a large double bed with drawers below, a wardrobe with shelves and a dressing table with stool. There is a deck hatch with integrated skylight and stereo radio with MP3 option, storage lockers as well as overhead and individual berth lights. It also includes an en-suite bathroom. The Starboard guest cabin features two single berths with drawers below with optional powered sliding conversion to one double bed, wardrobe with shelf, storage lockers, overhead and individual berth lights and an en-suite bathroom with day access. The crew cabin, which is also extremely comfortable, has two single berths, storage lockers and hanging lockers, overhead and individual berth lights and a private bathroom with stall shower, electric quiet flush toilet and washbasin. All the furniture inside can be Serotina Cherry or Light Oak with satin or high gloss finish. American Walnut or Rovere Oak are available as options. The interior finishes are avonite worktops and tiled floors in all guest bathrooms, granite/marble worktops in the galley, timber-laid galley and helm floors with curtains, blinds or sunscreens at all windows and portholes. You have the choice of high-quality carpet and upholstery fabric from an extensive range. This Princess S72 comes with a 108,000Btu chilled water system, outlets in all accommodation areas and incorporating reverse cycle heating with linked windscreen demist system. Suitable for tropical conditions (40°C). It is powered by two Twin Caterpillar C32 A (1,622mhp) or you can choose from these optional engines: Twin Caterpillar C32 A (2 x 1,723mhp) with a speed range: 35-37 knots or Twin MAN V12 1800 (2 x 1,800mhp) with a speed range: 36-38 knots. Its power and drive systems feature 5-bladed propellers in nickel aluminum bronze, a bow thruster (170kgf/375lbf) and a power-assisted electro-hydraulic steering system with hydraulic backup, an electronic engine and gear shift controls, dripless shaft seals and an engine room extractor fan with electronic time delay. Its fuel system includes fuel tanks (in NS8 marine grade alloy) with interconnection system giving 1,055 gal/1,268 US gal/4,800l capacity and fuel fillers on port and starboard side decks. Its water system consists of 150 gal/180 US gal/682l plus 22 gal/26 US gal/100l hot water calorifier and heated by engines and 240v immersion heater. Its hull material is pure fiberglass, which withstands harsh marine environments with ease! It has a L.O.A. of 74ft (22.55m), a beam of 17ft 8in (5.38m) and a draft of 4ft 10in (1.48m). Its fuel capacity is 40,200kg (88,500lbs) and water capacity is 172 gal/206. · Incredibly versatile deck space. · Three en suite cabins including master stateroom with stunning hull-side windows. · Resin-infused for strength, weight saving and fast efficient cruising. This Princess S72 is perfect for serious time offshore! But don’t take our word for it, check out our virtual tour and decide if this is the perfect boat for you and your crew!